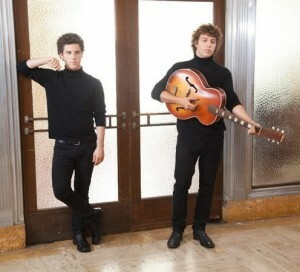 The two young brothers in acoustic-pop band Minor Soul have a bit of a complicated background — I’d tell you where they’re from, but I’m still not quite sure. To be honest, I’m not entirely certain that they even know for sure. What I do know is that Jack and Max Wagner were born in England, grew up in Hong Kong, and now live in New York. To spice up their bio even more, the two brothers even made a few pit stops along the way, including one in Los Angeles, where they joined forces with Dave Stewart (Eurythmics) at Henson Studios to record some songs. Later that year, Minor Soul released a video for “Beneath my Skin”, a song that came out of these sessions. 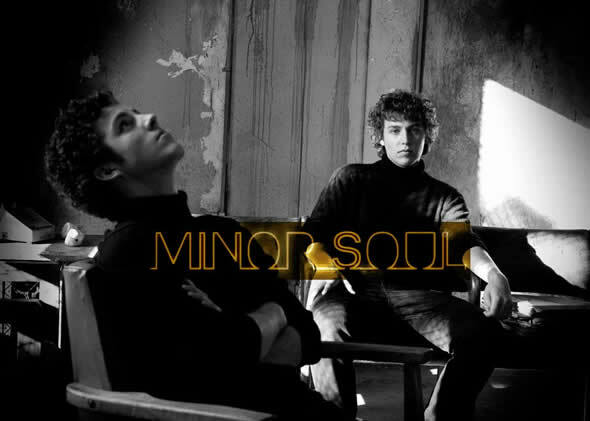 These days, Minor Soul is staying extremely present online by releasing videos on YouTube, as well as posting tunes that might one day end up on an official Minor Soul release. But, before they release an album, the guys are keen on making an impression on their latest city of residence — New York, New York. Their latest song/video, “Streets of New York”, was produced and co-written with renown hit maker, Toby Gad; whether you’ve heard Minor Soul play before or not, the catchy number is a good briefing on where the band is in 2012, both literally and figuratively.